On their credit report, so if you're dealing with a financial mishap, reach out to our new and used Toyota dealership near Mukilteo! Our family owned and operated car dealership near Mill Creek, WA is committed to ensuring drivers of all backgrounds and credit scores have access to professional loan assistance. 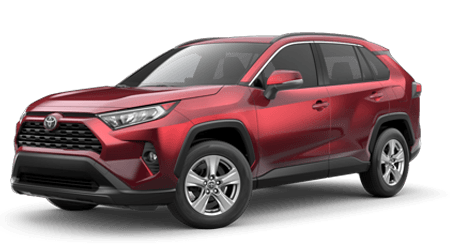 If you're browsing Washington Toyota dealers that will present you with the competitive packages that you deserve, visit us in Everett today! Our new and used Toyota dealer looks forward to helping all our Mill Creek neighbors explore the bad credit car loans that are available to them, so if you're auto shopping with a sub-prime rating, team up with our staff today. Our finance center professionals are friendly and knowledgeable, and will happily answer any questions you have about the overall loan process, our auto inventory or about your specific situation. We offer extensive business hours to ensure all used Toyota shoppers in the area are able to find time to drop by for a personalized bad credit financing experience. For drivers who are interested in our bad credit financing services but would like to apply from the privacy and comfort of their Washington home, we've made our credit application available online. Completing one of our forms is hassle-free and comes with no obligations, so don't hesitate to transmit a completed form to our new and used car dealership now! Our finance department will receive your encrypted information, review it thoroughly and will be in touch to go over the ways we can help you secure that used Toyota Camry sedan you've had your eye on. Turn to a car dealership that has a proven track record when it comes to bad credit financing, team up with Rodland Toyota in Everett, WA today!